Being inspired by a museum created by ehickey, I have started on a museum of my own, the ultimate goal of which is to display every item in game that I can. This includes stuff I have in my arboretum and zoo, which means yes, I am collecting animals too, and will later create an area to display hostile mobs (zombies, creepers, etc). So far I only have world blocks on display (dirt, stone, emerald ore, bedrock, etc), and am working on additional rooms for food, tools, weapons, building materials (stairs, fences), redstone, etc. I have placed a chest near the museum for anyone who wants to donate. Please place anything you want to donate in the chest at Bob_Keep,donation, and let me know so I can acknowledge you on my wall. Thanks! I think you have to spawn a mob in to keep it around, or else it disappears after no one is around for a while. I can take care of that part once you have containment up. I learned that the hard way after luring mobs into glass tubes, then finding them missing as soon as I came back. I have a surplus of most of the plants I have on display, and extras of most ore types. You can use name tags to keep mobs from despawning. Also have all ore types, and only missing tall ferns and tall dead grass, cause I have yet to figure out how to put two ferns and grass on top of each other. Tall grass (dead bush) can't figure out, but the tall grass and tall fern are created with bonemeal. not just created, but theres a way to harvest them too. I just dont remember the details. Below is a wish list of items and mobs I am currently looking for for my museum/arboretum/zoo/prison. I will accept other items not on the list, but they are ones I can obtain or have. Please take a look in my area before donating so you can find out if I have that item or not. you can get the command block but it'll have to be admin in and till be locked out so once there it cant be broken or moved. barrier lock is kinda hard bc its invisible and the end portal frame you can get admin in also. Cool thanks!!!!.... Need to set up a special spot for them.. Yes, any mob can, even seen vids where they where using carts to move around Ghasts. Would have to do a rail through the nether though due to the distance. Ya Lord Bob I'll be on later today and I'll help out with the blocks you cannot normally get. May or may not be ready for them today. I know how I want to display them, and might take a bit to create the displays. Quick question, the end portal frame, can that just be placed in a chest for later, or do you have to place it? Update: Thanks again to my wife Div and Bugs, I have been able to shorten my list even more. Still have yet to have anything placed by an admin, and the display stands are getting lonly. That will be fine just remind me when we are both on. I feel it goes without saying the command block just cannot be used. Thanks to brbdogsonfire, the admin created blocks are now on display! I now only need the following items. The hardest ones to get will be the three remaining heads, since the only way the Skeleton, Zombie, and Creeper will drop a head is if they are killed by an charged creeper explosion, and the only way to get an charged creeper is to wait for a regular creeper to be within 4 blocks of a lightning strike.... now if only lightning rods existed. if you want lightning, i do believe when admins come online, they generate an actual lightning strike. We can get the mob heads for him but I feel like if he is able to actually get the items on his own we should try for that. There are videos online of how to get charged creepers I believe. Would have to be done by an admin for the heads, and you cannot spawn a charged creeper, has to be created with lightning, Been trying to avoid asking admins for stuff that a player should be able to get on their own. 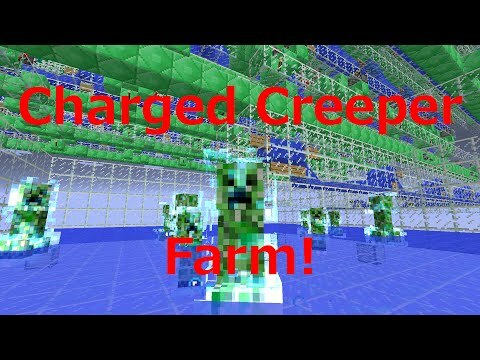 yes we can spawn the creepers as charged, or the creeper heads themselves. This tends to go against being a survival server though. I think you can get grass with a shear? Tried, you get two single high grasses from a double. You are suppose to be able to get it to grow with bone meal on a sand block if you use it on a grass block next to a sand block, but have yet to get that to work. One other item thats not in your museum is a command block in a minecart. Sure if we are ever on together. lol I know... and I am now good on wolves and dogs. Eh honestly it will look better not with glass and only OPs can modify command blocks right? If so if they steal it the have a useless cart. So I am back, and noticed there was an update with all new stuff to add to my museum. Below is a list of items I am missing. Some I know I can obtain on my own, and some may have to be given by an admins if there is no way for a player to get them. I have a chest near the museum for anyone who wants to donate. Please place anything you want to donate in the chest at Bob_Keep.donation, and let me know so I can acknowledge you on my wall. Thanks! For science I have been experimenting on creepers. If an admin logs in on a creeper the Lightning effect will turn them into a charged creeper. I'll get you the potion. What kind do you want or just a random lingering potion? And I may be able to get the tipped arrow. He now has all heads. Thank you Pyro for the help with that. There's no protection for horse armor, so the only way to prevent someone from taking it is to make sure nobody can mount the horse. I think turning off use generally only protects blocks, not entities (except it also protects item frames from being rotated). In places with -use I can still shear sheep, ride horses, take things off armor stands, and open chest minecarts. Thanks to today's adventure with my wife, I now have the remaining three items for my museum. If there is anything at all I may have missed that is not on display in my museum, arboretum, or zoo, or any improvements, let me know.